The tourism industry in Bali has been threat to the lives of the people of Bali. In fact, not only threatening the lives of citizens, endangering the conservation of nature and the environment in Bali. Fact, now the island of Bali has undergone many changes in terms of environmental sustainability. Is not only an environmental and cultural changes in living habits Bali residents are now getting worse. The positive and negative impacts of tourism in Bali greatly affect life. Here are the most perceived negative impact of the tourism industry in Bali. Actually tourists in Bali does not threaten the environment directly. But the means of support of the tourism industry is very influential on environmental sustainability in Bali. The construction of hotels and villas in places that should remain in the keep and save, for example, with establishment hitel in mangrove area in the protected forest area, and near rivers should be kept clean. 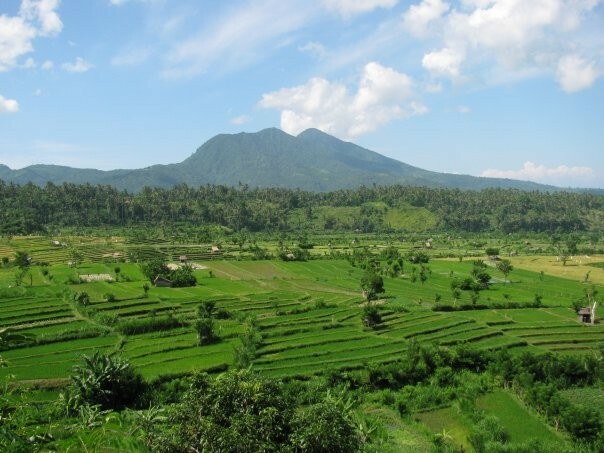 Many rice fields in Bali have also been converted into a hotel and villa area. This makes people vulnerable to fluctuating tourism. As a consequence, tourists and local people can pay a higher price to get the service, food and beverages, fuel, lodging, etc. Too many tourists will interfere with the tourists themselves and also the people who live in Bali, especially if this occurs in a protected area. People are more and more coming, then the number of people in Bali are also increasing. Increasing people in Bali will interfere with the comfort of living. Traffic congestion is one of the inconvenience of living in Bali of a negative impact on the tourism industry. Tourism development if not controlled properly will cause a negative impact bali Bali, and can interfere with and damage the environment. Development in this case can be divided into two types, namely the construction of planned and unplanned development. For example is the planned construction of resorts, hotels, docks, access roads and other tourist support facilities. They already occupy space and a certain amount. Unplanned construction of houses for example is the tourist industry workers. Unplanned development is usually caused by a society that is looking for a job in the tourism sector. This development is often arbitrary, do not pay attention to sanitation and environmental hygiene in Bali. 5. The setting of the order of life of the citizens of outsiders excessively. Although it is seen as a subjective judgment, but it also has become the center of attention of the observer of tourism activities. Employers outside usually have experience as well as more sources of funding. Often the experience, knowledge and strength they have incurred a tendency that they will organize tourism activities and can suppress local people in Bali, or give the impression as if the local people only as a supporting role only. This will affect not good for tourism activities in Bali, because of tourism activities can be hated and not supported by local people. Tax from the tourism sector can become leaky, and fixed to a place or another area, if the tourists prefer to buy goods or use the services of those businesses that are managed by non-Balinese (non-local). Cultural changes taking place in society can be both positive and negative for Bali, depending on the pattern of view in understanding. However, people usually are not able or are not given the opportunity to decide whether they want to change or not. Changes will occur with just unwittingly. For tourists, there are hopes that the community has not changed, but for some other traveler communities to be affected is the target changes.